The tenth generation of the same family is preparing to take responsibility for Trewithen, one of the oldest and most beautiful estates in Cornwall. Sam Galsworthy, eldest son of Michael Galsworthy, and his wife, Kitty, will become increasingly involved in the day-to-day running of the house, gardens and extensive grounds this summer – a year after Trewithen celebrated its 300th anniversary. Already the young family – which includes 17-month-old Isadora and a newly born baby son – have been spending more and more time at the ancestral home near Grampound Road. Trewithen garden is open to the public for four months every year and, as an International Camellia Garden of Excellence, is world renowned for stunning displays of spring flowers. A few months ago Head Gardener Gary Long discovered a new, natural hybrid form of Camellia saluensis, pollinated either by the wind or bees. 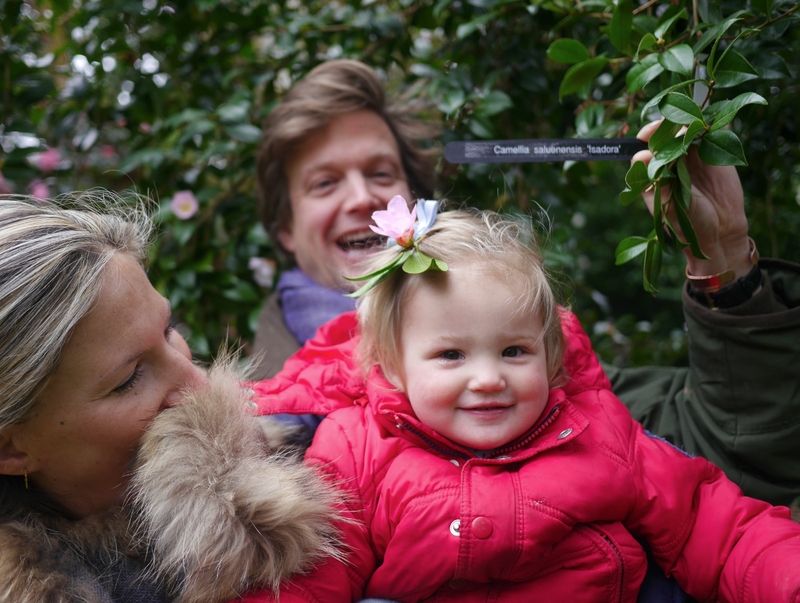 With approval from the family, the new camellia was named Isadora after Kitty and Sam’s daughter. Camellia Isadora has petals with a vibrant pink edge and a triangle of white at its centre. When the bloom is fully open the white triangles join to create a star framed by baby pink. The flower won its class at the Royal Horticultural Society Early Camellia Show on the very first occasion it was shown.